For the first time after his divorce from Natalia Vodianova her ex-husband has told of the reasons. 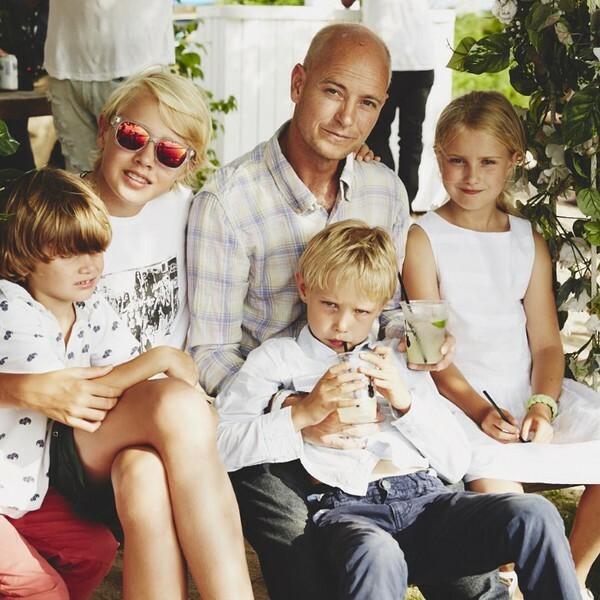 46-year-old Justin Portman, ex-husband of supermodel and social activist Natalia Vodianova, 4 years later decided to talk of the reasons for a divorce. A descendant of the British aristocracy openly admitted that he unwittingly provoked discord in the family. Supermodel Natalia Vodianova and British aristocrat Justin Portman lived together for 9 years, they had three children - Lucas, Neva and Viktor. However, in 2010, despite the external idyll, which they tried to maintain, the most incredible rumours were circulating in the press about the problems in the marriage. In 2011, Vodianova indeed confirmed that she no longer lived with her husband, although Portman did not want to put an end to the relationship. Now ex-spouses try to maintain a good relationship, both have the opportunity to participate in the upbringing of children, Natalia speaks about the former spouse very warmly, calling him the most important thing in her life. Since the divorce of Natalia Vodianova and Justin Portman time has passed. Now supermodel happy in a relationship with the heir to the empire LVMH, Antoine Arnault - the couple already growing up the son and expecting the second child. However, the ex-husband of the Russian star is still unable to find a replacement. What's going on in his personal life is unknown. On his Facebook page on December 5 Portman wrote a candid message, which explained the reasons for the collapse of the family - is turned out that Natalia spoke with him about the divorce 6 years ago. The main reason of separation was called his addiction to alcohol: "I do not have time for her fashionable life. I thought that she was ashamed of me. I became for her a kind of outmoded Louis Vuitton handbag. And then I went to the 28-day course in the rehabilitation center". However, during his 27-day stay in the clinic Portman realized that his wife didn’t need him anymore. "I have experienced a huge shock, I was very hurt" - said the former husband of Vodianova. Aristocrat also hinted that the wife cheated on him, but then they both tried to keep the family together for the sake of children. "I have a traditional English values and she has Russian ones", - concluded the father of three children. Seeing that his massage had prompted a strong reaction in public, Portman deleted it, but it had already been read by hundreds of people, including journalists. Friends of Justin Portman in an interview with Page Six were surprised by his atypical behavior - usually aristocrat behaves quite reserved and not inclined to the scandalous revelations. Natalia Vodianova did not comment ex-husband’s behavior.